The Town of Gilbert Arizona gave recognition to it’s dental assistants last week. They were honored during the national dental assistant recognition week. 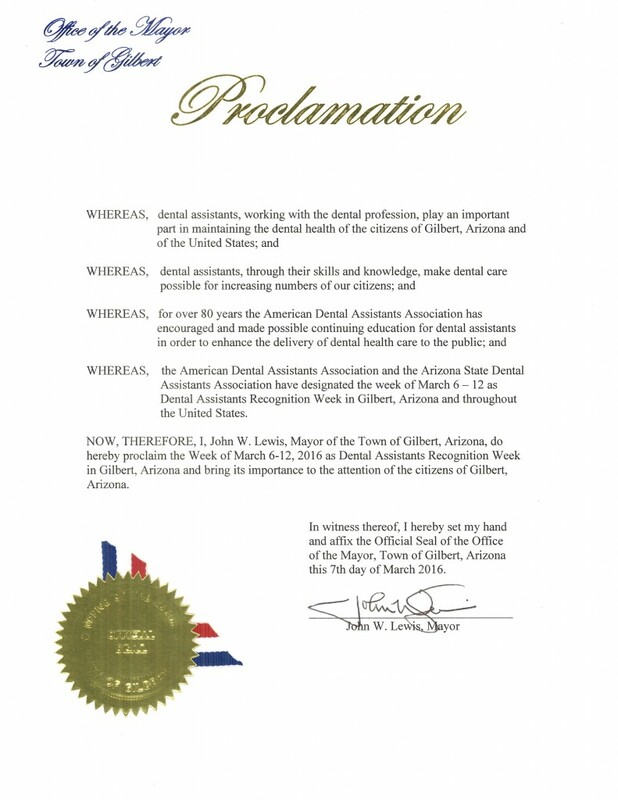 Gilbert Arizona dental assistants were also recognized via a town proclamation. 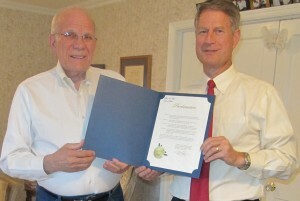 The proclamation was signed by Mayor John Lewis. It states that dental assistants have an important role. They play a big part in maintaining the dental health of Gilbert citizens. They make dental care possible for a number of the towns citizens. They have great skill and knowledge. They are a very important profession for the town. The town recognizes their vital role. The American Dental Assistants Association has been working for over 80 years to enhance dental care to the public. They encourage continuing education for dental assistants. The week of March 6 – 12, 2016 has been set apart to honor these dental assistants. Gilbert Arizona dental assistants are proud to live in a town that acknowledges their hard work. They help out the community by teaching the people about oral health. Dr. Eldon Hastings, founder of the American Institute of Dental Assisting is proud to train dental assistants. He practiced dentistry for over 40 years. In that time he learned how crucial a dental assistant is to the dental office. They are a huge help to the dentist and deserve to be honored. Having a good assistant makes a big difference. Dr. Hastings is proud to train high quality assistants. He trains them to be of the most help to the dentist. Dental assisting is a growing industry. If you are interested in becoming a part of this great profession contact us. A new career is right around the corner. And you’ll feel good knowing that you are backed 100%, both nationally and locally. Gilbert Arizona dental assistants deserve the credit they received. And you will too with an exciting new career!